The major news story in the British papers today is the decision of David Axelrod to sign on with Ed Miliband's Labour party for the 2015 General Election campaign. There has always been something mystical about American politics to the British, and inexplicably Barack Obama has kept much of the magic he has lost domestically since 2009, still appearing as a West Wing-esque figure. It is not a coincidence that the Tories have their own Obama veteran in Jim Messina. Whether either hire is a good idea is an entirely different matter. While the London Press has been quick to point out the differences between America in 2012 and Great Britain in 2016, it is the similarities that should be really worrying the Labour party, as a closer look at David Axelrod's record raises questions as to whether he is the right consultant for Ed Miliband's party right now. The media, in its puff pieces on Axelrod's hire, have been quick to point out that he guided Obama from the Senate to the White House. While this sounds impressive, what is forgotten is that many of these campaigns were gimmes. Obama's 2004 campaign was dominated by good fortune. His leading primary opponent's campaign collapsed after his divorce records were released, and in the general, the same happened to his opponent Jack Ryan, who it was revealed took his wife, Star Trek actress Jeri Ryan, to strip clubs. Ryan dropped out to be replaced by all around flake Alan Keyes, allowing Obama to win 73-27. As for Eliot Spitzer and Deval Patrick, both were running to succeed highly unpopular Republican predecessors whose approval ratings had sunk into the 20s, and both ended winning by large margins, Patrick by 21 points, Spitzer by nearly 50. While the 2008 campaign was less lopsided, John McCain never led at any point other than the week after the Palin announcement, and the best that can be said is that the Obama campaign did not make any serious mistakes. That leaves the actual difficult campaigns that Axelrod ran as Deval Patrick's 2006 primary, Obama's 2008 primary, and the 2012 general election. All three were impressive, but all three also had another factor in common which inflicted lasting damage on the Democratic party. This may sound odd given how Obama's entire cause is supposed to be bringing people together, but Axelrod has won his primary campaigns by dividing them. 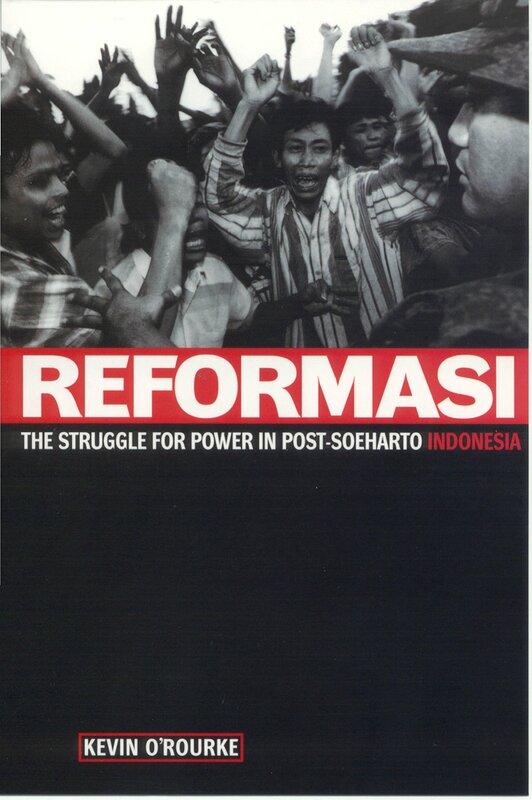 On paper his message looks positive; "a new type of politics" "an end of business as usual". Yet in order to call for a "new type of politics" one must identify an "old type" to be demonized, and those who practice it. In both Deval Patrick's 2006 Primary and Barack Obama's in 2008, Axelrod identified a senior statesman of the party, long-serving State Attorney General Robert Reilly(so popular he had won the Republican nomination as a write-in in 2002) in 2006, Hillary Clinton in 2008, and proceeded to demonize them as a figure of the past. This was not all; both campaigns also demonized the supporters of their opponents. Axelrod's campaigns identified progressive constituencies, "students", "nonwhites", "the highly educated" and contrasted them with the "backwards" constituencies that supported Clinton and Reilly. Not only did this help rally the base for Patrick/Obama, it opened his opponents up to charges of racism when they tried to respond. Ironically there was something of a repeat of this in the 2012 elections. One can acknowledge the hypocrisy of Republican complaints of class warfare without denying the fact that Democrats played every wedge possible - gender, race, income, against Mitt Romney. Romney may have played into the theme with his "47%" remarks, but the Obama campaign embraced a vision of the campaign as "new America v. old America." 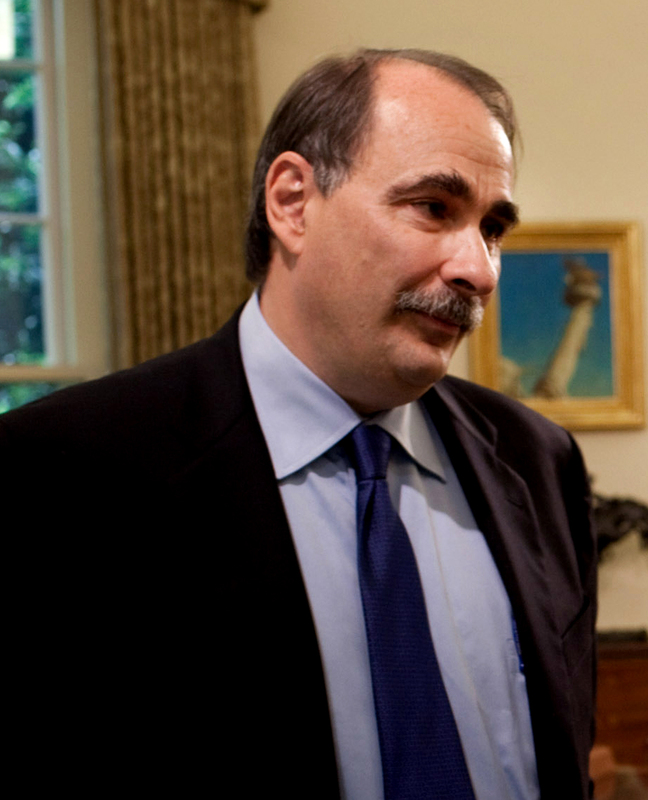 Axelrod's genius, was to realize that by 2006 in Massachusetts and 2008 nationally, the constituencies that he was pandering to made up either a majority of the Democratic primary electorate, or enough of it to control the nomination under the somewhat arcane rules that prevailed. The problem with applying Axelrod's polarization approach to the UK is that it is precisely what Labour does not need. Right now Labour is benefiting from divisions on the right between the Tories and UKIP. To the extent there were divisions on the Left, they have largely been eroded by the defection of the Liberal Democrats' left wing to Labour. As a consequence, Labour has precious little to gain from running a campaign of pure demonization. The Tories on the other hand do. The worst thing that could happen for them is for the election to be fought on their record, which is mediocre if improving. They need it to be a choice election, a choice between Ed Miliband and David Cameron, a choice between an unreconstructed Labour Party hearkening for the 1970s and a modernized Conservative party, and for UKIP defectors, a choice between soft Euroskepticism and a full-on embrace of the EU. Axelrod is exactly the sort of consultant to give them that, precisely because he is unfamiliar enough with the seat breakdown of Britain to think that it is a good idea. Labour can win a parliamentary campaign; it cannot win a Presidential election. Axelrod also took advantage of a peculiarity of the American system, namely the strange way in which class plays out in the US. Among Whites and Asians it is cultural as much as based on income, while among African Americans and many Hispanics it is a non-factor. Hence he could polarize Whites and Asians on social issues like gay rights and abortion without fear of alienating socially conservative African Americans. Its unclear if the same approach would work in Britain, which is far more polarized along class lines, and where the equivalent social issues, "Europe" and "Immigration", do not play to Labour's strengths. Furthermore, a direct appeal to class in the American context wouldn't work. It is the left in America which embraces the meritocratic vision of America's top Universities, witness Obama's focus on his postgraduate experience at Harvard and the Academic background of the West Wing's Josiah Bartlett, whose very name reeks of his ancestor's time on the Mayflower. It is Republicans by contrast who run the populist canard. Running an anti-Etonian campaign on a cultural level might well backfire on the elite-dominated Labour party at the same time their economic message is backfiring among high income voters. This brings up a second problem with polarization, namely the British electoral system. David Axelrod's candidates have succeeded in winning elections while winning narrower and narrower constituencies. The years since 2008 might have been a good time for Democrats at the Presidential and even the senate level, but it has been a disaster for them at the House and local level. In 2012, while Obama was triumphing, Democrats for the first time in decades won the popular vote for the US House while winning only 202 seats out of 435. Part of this was undoubtedly due to gerrymandering but it was also due to the fact that Obama's campaign strategy was to run up the margins among those core progressive groups it identified students, nonwhites, single women, and most of them live in safely Democratic urban seats. To a lesser extent there was also an effort in 2008, especially for the caucuses, to try and develop a limited organization in safely Republican seats like Idaho or Utah to turn out voters in the race against Hillary, which carried over to the general. Neither aspect is of much use in the UK. Mobilizing students might of use against Liberal Democratic incumbents in a few seats, but single women and non-whites tend to be concentrated in Labour areas, and the former will be harder to mobilize anyway against Cameron's socially liberal Tories. Nor will trying to move Labour candidates from 10% to 20% in the South do much except cost the Liberal Democrats seats to the Tories. At the same time however, under Axelrod's direction Obama's 2012 campaign ignored traditional swing constituencies, such as blue-collar whites, the elderly, and suburban voters. Obama lost the white vote 59-39, about the same margin as Michael Dukakis did in 1988, and he lost white men 64-34. The resemblance to the 1980s is something that should worry Labour. America has changed enough that the Michael Dukakis coalition can carry a Presidential election, but as was demonstrated in 2012 it can't carry a district-based election for the US House. The UK parliament resembles the US House not just in that it is divided by districts, but in the fact that the median district where the election is likely to be fought is a residential town outside of London, a mixed-income region within London, or a suburb in the Midlands. All of those regions have leaned towards Labour since 1997, but they were also the bedrock of Margaret Thatcher's Conservative majority during the 1980s. This is an important question because an Axelrod campaign needs a villain for its hero to slay, even if that villain is an abstract. Will it be bankers, Londoners, or UKIP supporters? Will a Labour party that embraces student protesters, minorities, and the politics of class warfare be able to hold onto its affluent base? How will an Axelrod-style campaign play in Watford? Nothing is likely to send affluent Tories who are parking their votes with UKIP scurrying back faster than such a campaign. At the same time, it is likely to drive blue-collar Labour supporters to UKIP. I have to make the embarrassing admission that in 2010 while working as an intern with Nate Silver's Fivethirtyeight.com, I was involved in developing the not very successful prediction algorithm for the UK elections. It is easy to hide in the fact that the polls were wrong, especially regarding the Liberal Democrats; easy, but not sufficient. A three-way election is inherently different than a two-way fight in that the undecideds are rarely undecided between all three parties, but rather have decided against one party and are waiting to vote for the local candidate most likely to defeat that party in their seat. This was apparent not just in the UK, but in recent Provincial elections in British Columbia, Alberta, and Quebec in Canada. While the above works as a criticism of placing too much faith in averages of polls that exclude undecideds, it is also a warning about the limitations of applying American structures to the UK. US electoral nerds have vastly more information available, since American election results are recorded down to the precinct, and voter rolls are freely available. It is quite easy to provide software to state senate and house campaigns which lists every voter in a given district, what elections and primaries they have voted in, and what their contact status is. Some of this can be applied in the UK. Parties have contact lists for activists that could surely benefit from being digitized and being made available on mobile platforms. But on another level the UK is trickier. For one thing, seats are counted collectively instead of as wards, meaning that the most local data one can get other than the 2010 results are from council elections, which may or may not be representative, either in terms of the electorate or its behavior. Even councilors tend to represent seats 3-4 times larger than American precincts. My assumption is that Axelrod will try and work with that data, but I am unsure what he will accomplish here at six figures that a good mobile designer and a legion of interns entering data into a spreadsheet couldn't do at a much lower cost, namely create a way to remotely direct door to door activists.